Presenting legal documents overseas often requires a translation to be submitted for their records. 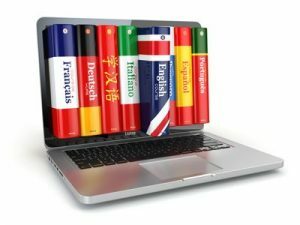 We can translate your documents into more than 100 different languages quickly and professionally. Documents that are written in English may need to be translated into the language of the country that they are to be used. Our professional translators can convert all documents into your preferred language. Our certified translations can be ordered for as little as £40. For an accurate quote do not hesitate to email your document. We can begin translating your documents from your email copy within minutes. Documents are translated and certified by a member of the translation team. Documents are translated and certified in the presence of a UK solicitor. Documents are translated, certified in the presence of a UK solicitor then legalised with the apostille. Efficiency. If we are legalising your documents we can also translate them. This saves you time and money. We can also translate the apostille and embassy legalisation. Quick Service. We aim to complete most translation within 24 hours. We do not charge extra for this quick service. Solicitor Services. If your document needs to be issued with the apostille we can solicitor certify the translation. Delivery Options. We can post your document to any address in the world. Order Online. Simply scan and email your document. We can provide a fast quote and start the translation within minutes. Fixed Prices. Once we have provided you with a quote you know exactly how much your document translation will cost. UK Based Company. We are located in the UK and work with professional translators that are selected for their expertise. All documents translated. We can translate a wide range of documents from personal letters to technical business documents. How do we prepare our Translations? Our translations are completed by native speakers with knowledge of the subject matter. This ensures documents are translated as accurately as possible. Documents are then checked and we will attach a cover sheet to the translation certifying this to be an accurate translation to the best of our knowledge. Clients are often asked to provide a ‘certified’ translation. In most cases, our translations are sufficient for the purpose. In some cases, overseas authorities may require the document to be translated by the embassy or a translator who are registered with the embassy. Please seek guidance from the overseas authority to clarify if there are any specific requirements. The translation is not attached to the original document. One reason for this is to prevent any issues with legalising the original document. If we are legalising the original document with the apostille any translation would need to be removed before it is presented to the UK Foreign and Commonwealth Office. The second reason is to prevent damage to the original document. Our expert translators are ready to translate your document. Contact us for a quick quote.